On December 6, 2018, U.S. Senator Sherrod Brown (D-OH) and U.S. Congressman Tim Ryan (D-OH-13) announced that the U.S. Department of Transportation (DOT) had awarded $10,853,192 to the Eastgate Regional Council of Government for Youngstown, Ohio’s SMART2 Corridor. The project will redevelop critical transportation infrastructure with a new multi-modal network to help revitalize shrinking. post-industrial Youngstown’s long-struggling downtown and central business district. The investment will go toward the purchase of transit shuttles and systems, pedestrian and bicycle facilities and energy efficient technology upgrades that will help provide reliable transportation between Youngstown State University, Mercy Health Hospital, the Youngstown Business Incubator, and Eastern Gateway Community College. “This $10.8 million federal investment will prove to be truly transformative for the City of Youngstown and the entire region. According to projections made by Youngstown State University, the project will support more than $250 million in economic development over the next decade by connecting all of the major downtown economic players with a central transportation hub. This announcement was the culmination of the most robust public-private partnership in the Youngstown area in decades. I want to thank Mayor Brown and the teams at YSU, Mercy Health, The Chamber of Commerce, and the Eastgate Regional Council of Governments for their steadfast belief in this project. That dedication is what got this over the finish line. I’m thrilled to have been in the trenches with them fighting for this critical funding,” explained Ryan. These funds are a part of the Better Utilizing Investment to Leverage Development (BUILD) Grants Program, formerly known as the Transportation Investing Generating Economic Recover (TIGER) program. This announcement comes after Brown and Ryan pushed the Trump Administration to secure this investment. “Youngstown and the Mahoning Valley are an innovative hub of higher education, healthcare, entertainment and advanced manufacturing. This project will invest in the transportation infrastructure needed to reinvigorate downtown Youngstown and beyond,” said Brown. “I’m proud to support the local and regional partners who have brought this transformative project together. I look forward to seeing the SMART2 Corridor serve the region’s residents, visitors, and businesses,” he added. “Eastgate is excited to be the recipient of the $10.85 million USDOT BUILD Grant for the SMART2 Network. This grant will allow us to capitalize on the synergy in our urban core and expand the connectivity to the entire Mahoning Valley. This would not be possible without the hard work and resiliency of our partners, Youngstown State University, City of Youngstown, Western Reserve Transit Authority and Mercy Health and the strong support from our legislators, Senator Rob Portman, Senator Sherrod Brown, Congressman Tim Ryan, and Congressman Bill Johnson,” added Jim Kinnick, Director of the Eastgate Regional Council of Governments. The funding for the project was made available through the Department of Transportation’s (DOT) through the Better Utilizing Investment to Leverage Development (BUILD) Transportation Discretionary Grants program. FY 2018 BUILD Transportation grants are for investments in surface transportation infrastructure and are to be awarded on a competitive basis for projects that will have a significant local or regional impact. BUILD funding can support roads, bridges, transit, rail, ports or intermodal transportation. Brown and Ryan have been working to secure BUILD grants and infrastructure funding for the Mahoning Valley for years. Last year, Brown and Ryan supported investments in the Youngstown’s SMART2 Corridor project. Brown also met with Youngstown State President Jim Tressel to discuss the improvements. “For the past three years a dedicated team of economic development and community planning professionals from Youngstown’s anchor institutions have worked tirelessly for this award. Youngstown State University is honored to have worked alongside our partners from Eastgate Regional Council of Governments, Mercy Health, Youngstown Business Incubator, Western Reserve Transit Authority, and the Diocese of Youngstown to prepare a winning proposal that will transform Youngstown’s transportation infrastructure for the 21st century,” said Tressel. Brown serves as Ranking Member on the Senate Banking, Housing and Urban Affairs Committee, which oversees public transit. In March, he unveiled a new infrastructure proposal that would expand infrastructure investments through the TIGER, now BUILD, Grant Program. 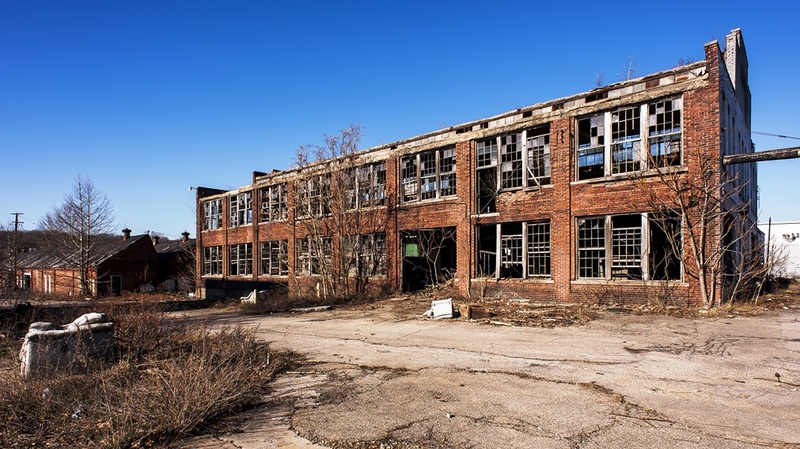 Photo of abandoned factory in Youngstown via Adobe Stock. See full list of current BUILD Grant recipients. Learn more about BUILD Discretionary Grants program. $1.5 billion in new grants awarded to 91 infrastructure renewal projects across U.S.